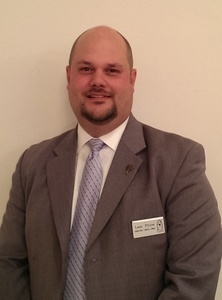 Landis Price is both a funeral director and owner of Barr-Price Funeral Homes and manager of Ridge Crest Memorial Park. Landis is married to the former Sheryl Oswald. They have two children Landis "Lan" D. Price, II and Julie Ann Price Rogers (Jon) and three grandchildren, Jada, Nate, and Jacob Rogers. Landis Price is a member of Wittenberg Lutheran Church where he has previously served on Church Council, as a lay reader, worship assistant, and a member of Lutheran Men. He is a life member and former President of the Western Conference Lutheran Men and was the first convener of the Western Conference. He is a retired member of the Batesburg-Leesville Fire Department serving as Treasurer/Secretary for 18 years and was selected as Officer of the Year in 1992. 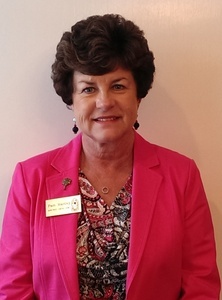 Price has served on the Steering Committee of the South Carolina Poultry Festival since its inception and has held numerous offices with the Leesville Merchants Association. He is a member, former President and Secretary-Treasurer of the Batesburg-Leesville Rotary Club, life member of the Batesburg-Leesville Masonic Lodge #138, life member of the Sons of Confederate Veterans, A member of the Lexington County Friends of the Library, Batesburg-Leesville Chamber of Commerce and the Lexington Chamber of Commerce. He is also a member of the National Funeral Directors Association as well as the South Carolina Funeral Directors Association. Landis was awarded the Order of the Silver Crescent by Governor Henry McMaster in 2018 for exemplary community contributions and achievements. William Folk Zeigler was born in Columbia, South Carolina on March 13, 1932. (It was snowing, if that gives you any idea about him; he's always thought he was a snowman.) His parents are the late Walter Lester Zeigler and Lucille Folk Zeigler, both from Bamberg. When he came home from the hospital, he was met by his 11 year old brother, Carlyle. After finishing McMaster, he began attending another neighborhood school, University High School which was the testing ground for new teachers from the University of South Carolina. While in the 11th grade, he joined the South Carolina Air National Guard. Billy graduated from University High School in 1950 and in October of that year, the Air Guard stationed at Congaree Air National Base was activated because of the Korean Police Action. Following a period of two and one-half years of active duty, the unit was deactivated. Because Billy grew up three blocks from Dunbar Funeral Home and some of the Dunbar family were neighbors, he gravitated toward working at the funeral home, "until he decided what he wanted to do." In 1959, he decided to attend Dallas Gupton-Jones School of Mortuary Service so he could become a licensed Funeral Director and Embalmer. After completing his nine months course and standing his certification tests, he was awarded License No. 999 by the State of South Carolina. In 1961, a new USC graduate, Pam Zeigler, came to work at Dunbar's and this occurrence changed his life forever. In 1962, they were married at Northside Baptist Church. They have three children, Holley (Butch) Barfield, Sean (Krissy) Zeigler, and Seth (Julie) Zeigler. God has blessed them with five grandchildren, Billy and Katie Barfield, Madison and Tyler Zeigler, and Zoe Zeigler. In 1973, the Zeiglers moved to Chapin and later became charter members of Chapin Baptist Church, where they are still active today. For many years both Billy and Pam sang in the choir, and Billy served as Deacon and on the first Building Committee. Billy continued to work at Dunbar's until he retired in 1985. At that time he became Fire Chief in Chapin, having served as a volunteer fireman with Lexington County Fire Service since 1964. In 1997, Billy retired from Lexington County Fire Service, purchased a Gold Wing Trike, and joined the Lexington Area Wings, a Gold Wing Riders Association affiliate. In 2001, Billy was appointed a Deputy Coroner for Lexington County. He worked in that capacity until August of 2009. At that time he began an association with Barr-Price Funeral Homes as a Funeral Director and Embalmer. Born in 1958, in Newberry, SC, Bobby is the son of Anna Rae Smith and the late Billy Richard Smith. Bobby is a 1977 graduate of Newberry High School, where he lettered in football. In 1977, he attended Piedmont Technical College in Greenwood, SC, majoring in Criminal Justice. Bobby was a patrolman with the Newberry Police Department and worked part-time for Whitaker Funeral Home in Newberry. In 1981, Bobby decided he wanted to make a career in the funeral business. He attended and graduated from Cincinnati College of Mortuary Science in 1985 and while in Ohio, he was a member of Alpha Tau Epsilon Fraternity. 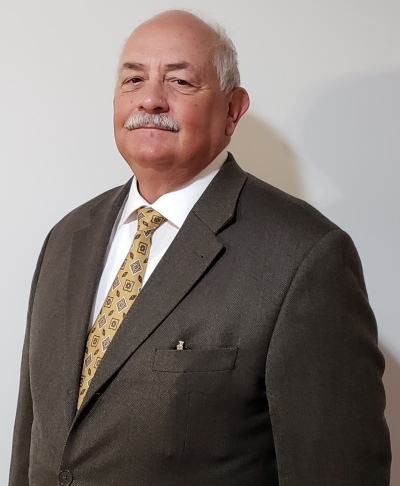 Following graduation, Bobby went to work for Dunbar Funeral Home in Columbia, becoming a licensed Funeral Director in 1986, and continued to work there until 2001. He then began a career in an aligned field, becoming Manager of Aurora Casket Company located in West Columbia. Bobby decided to return to the funeral business and in began working for Thompson Funeral Home in Lexington. In 2003, he joined Barr-Price Funeral Homes. Altogether, Bobby has over 30 years of experience in the funeral industry. In 1984, Bobby married Susanne of Greenwood, SC and they have a daughter, Amanda Renee Smith Powell and their son-in-law, Thomas. Bobby and his family are members of Saxe Gotha Presbyterian Church in Lexington. In his spare time, Bobby is a football official working with the South Carolina Independent School Association (SCISA), umpires softball, and enjoys playing golf. Ronny grew up in the small town of Cameron, SC and graduated from Calhoun County High School. In 1999, he received a Bachelor of Science Degree from Francis Marion University in Florence, SC and graduated from Piedmont Technical College in Greenwood, SC, earning a Major in Funeral Services in 2003. Ronny is married to the former, Kimberly E. Henry of Columbia and although they have no children, they do enjoy raising some wonderful dogs. In his spare time Ronny enjoys hunting, fishing, golfing and playing tennis; a sport both he and his wife enjoy. Ronny has been involved in funeral service since 1999, beginning as a Family Service Counselor with Greenlawn Memorial Park. There he worked with many families, funeral homes and funeral directors in the Columbia area. One of the directors he communicated with was his uncle, the late Donny Jackson. With encouragement from Uncle Donny, Ronny joined Thompson Funeral Home where he was able to serve his apprenticeship and complete mortuary school. 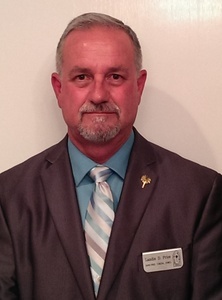 He became a licensed Funeral Director and Embalmer in 2003 and joined Barr-Price Funeral Homes in 2009. A lifelong resident of the Gilbert area and a graduate of Gilbert High School, Pam is married to Melvin Hartley and has one son, Phil. She is a long time member of First Baptist Church of Gilbert. 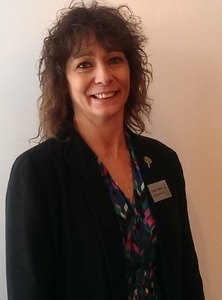 Pam began working with Barr-Price Funeral Home in 2008 as a part-time receptionist and serves full-time as the Senior Administrative Assistant. She enjoys working with people and in her spare time, being outside, gardening, and spending precious time with her grandchildren. Robert grew up in Laurens, S.C. and graduated from Laurens District 55 High School. In 1986 he graduated from Lander College (University) in Greenwood S.C. and in 1990 from John A. Gupton School of Mortuary Science in Nashville, TN. Robert is married to the former Selena W. Neese of Cayce, SC and they have two beautiful teenage daughters: Lauren Taylor and Lindsay Ann-Margaret. He and his family are active members of Trinity Baptist Church of Cayce, SC, where he has served as a Deacon. In his spare time Robert enjoys golfing, bowling and spending time with his family. Robert has been in the funeral business since 1987. He felt as if it were a calling to enter the profession and started with Gray Funeral Home in Laurens, SC. After graduation from John A. Gupton in 1990, he finished his apprenticeship with Shives Funeral Home. He was employed with Thompson Funeral Home in 1992, where he assisted families with arrangements, directed funerals and embalmed. In 1998 he helped upstart Greenlawn Funeral Home, (Service Corporation International), as a manager of the pre-arrangement department and later became state manager for all SCI funeral homes in SC. After two years, deciding the environment of a big corporation didn't suit him, he returned to Thompson Funeral Homes to manage their pre-need program. He has been employed with Barr-Price Funeral Homes as a Funeral Director, Embalmer and pre-arrangement counselor since 2003. He is available to help families with any number of things they might need before, during or after the services of their loved one. He also speaks to civic and church groups whenever asked to present a program or topics on funerals. James "Jimmy" W. Killingsworth grew up in Denmark, SC and during high school began an association with Hightower Funeral Home in Denmark. Following his graduation from Denmark-Olar High School in 1965 he went on to continue his education at the Kentucky School of Mortuary Science in Louisville, KY, graduating with a degree in Mortuary Science. 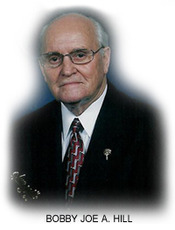 After his return to South Carolina, Jimmy became a licensed Funeral Director and Embalmer in 1966. 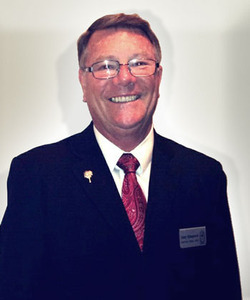 During Jimmy's career in funeral service he has worked at Dunbar Funeral Home and Shives Funeral Home. He also worked at Providence Hospital as a Pre-Admission Coordinator for 27 years, then returned to Shives Funeral Home, where he retired in 2011. Following his retirement in 2011, he began an association with Barr-Price Funeral Homes as a Funeral Director and Embalmer. Jimmy is married to the former Carolyn E. Carr, of Norway, SC. They have one daughter, Brandi K. Wagner, and two grandchildren, Ashlynn and Wyatt. He and his family are active members of Red Bank Baptist Church where Jimmy has served as President of the Men's Ministry. Prior to his membership at Red Bank Baptist Church, he was a member of St. Timothy Episcopal Church where he served the Advisory Board of Heathwood Hall Episcopal School, as an Acolyte, a Sunday School teacher, and was elected to the Vestry. He was also a Cub Scout Master for 5 years at Westminster Presbyterian Church, and served on the Eagle Scout Advisory Board. He is a member of the Lexington Masonic Lodge 152, 32nd Degree Scottish Rite Mason and York Rite Mason, and he is associated with the Gideons. His hobbies include riding his Honda Shadow Motorcycle and spending time with his grandchildren. Landis D. Price, II or Lan as he is commonly known, is the son of Landis D. and Sheryl Oswald Price. He is the grandson of the late Woodrow and Marjorie Sease Price and the late Clyde and Anne Warner Oswald. He is a 1997 graduate of Batesburg-Leesville High School, where he graduated with Honors, Beta Club Honors, and obtained an Academic Diploma. Lan is a 2000 graduate of Piedmont Technical College with a Degree in Mortuary Science. 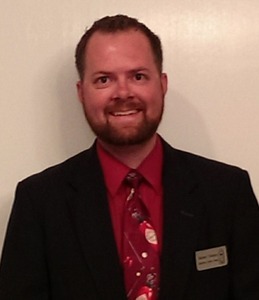 At Piedmont Technical College he served as Student Liaison to the American Board of Funeral Service Education (ABFSE), Student Representative to the Accreditation Committee, Student Representative to the Board of Visitors, as well as President of the Graduating Class. Piedmont Technical College is the first and only college in the State of South Carolina to have a Mortuary Science Program and Lan is a member of the first graduating class. Lan began working at the funeral home in his early teens and continued through high school and college. He started working by washing cars, digging graves, cutting grass, installing tents and trimming hedges. As time progressed Lan began working funerals and serving his apprenticeship. After graduating from college Lan obtained his Funeral Director and Embalmer license and began to work full time at the funeral home. He assists families with both pre-need and at need funerals, and assists with all aspects related to the funeral home. He is a member of Wittenberg Lutheran Church, a former volunteer firefighter and former treasurer with the Batesburg-Leesville Fire Department, a member of the Rotary Club, a lifetime member of the Sons of Confederate Veterans, participates with the Batesburg-Leesville and Lexington Chambers of Commerce and serves on the Steering Committee of the South Carolina Poultry Festival. In August of 2017, Lan was appointed by Gov. Henry McMaster to serve on the South Carolina Board of Funeral Service for a 2 year term. Lan in his spare time enjoys the outdoors, participating in charity motorcycle rides, horseback riding, and spending time with his niece and nephews, Jada, Nate, and Jacob. Born and raised in Superior, MT, Amanda is a first generation Funeral Director; having made the transition from social services. 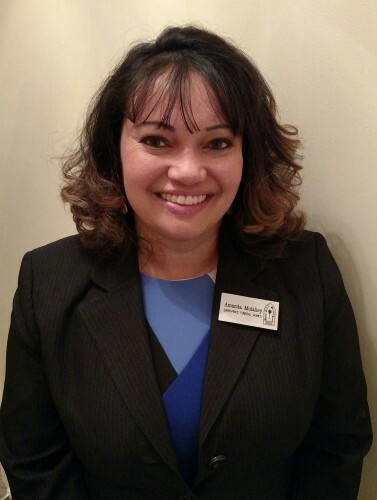 Amanda joined Barr-Price Funeral Home in March 2015 as a licensed Funeral Director, Embalmer, and Nationally Certified Cremationist. While attending Piedmont Technical College in 2010, Amanda began serving families in the Midlands working with an area funeral home. In 2012, she earned her Associates in Mortuary Science and completed her apprenticeship in 2014. Amanda enjoys spending time with her family, especially her children Lucas and Emily. She and her family are members of St. Mary's Episcopal Church in Columbia, where Amanda assists in Christian Formation and Outreach programs. Robert was born in Riverside, CA, but grew up in Irmo, SC where he graduated from Irmo High School in 2004 while lettering in track and football. After High School, he worked in construction and retail for several years before his calling into the Funeral Business. He attended Piedmont Technical College where he enrolled in their Mortuary Science Program, graduating in 2012 with honors. 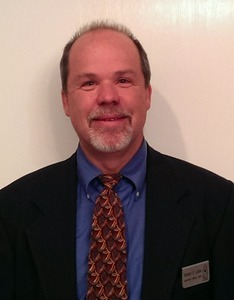 Robert enjoys attending local and distant sporting events, concerts, traveling, and golf. He takes pride in himself in taking a year away from home to help with the Katrina Relief Efforts in and around Biloxi, MS using his carpentry knowledge to help rebuild the surrounding community. 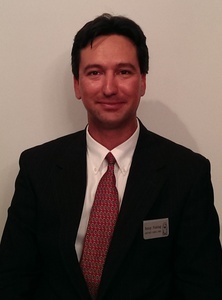 Robert has been employed at Barr-Price Funeral Home since 2012 where he is a licensed funeral director and embalmer. Crystal Galloway was born in Columbia, SC and grew up in the Lake Murray area. She is a 1982 graduate of Batesburg-Leesville High School and graduated from Piedmont Technical College, Class of 2006 with a Degree in Funeral Services and Mortuary Science. Crystal began her funeral service career, working at Shives Funeral Home on a part-time basis to complete her clinical requirements. She then completed her apprenticeship with Dunbar Funeral Home and continued to work there for 6 years before coming to Barr-Price Funeral Home in 2014. Crystal has 1 son, Bobby (Juny), and 3 wonderful grandchildren: Riley, Tyler, and Leigha, and a dog named Titus. Crystal attends Cedar Grove Lutheran Church and Beth Shalom Synagogue. She is also an adjunct instructor at Piedmont Technical College in Greenwood for the embalming laboratory. James (Jim) is a graduate of Gupton-Jones College of Mortuary Science, Atlanta, GA, Class of 1989. James is the past president of the Sumter Lions Club, a Distinguished Toastmaster of America, a member of the National Funeral Directors Association, the SC Funeral Directors Association, and the American Embalmers Society. He is retired from the SC Army National Guard and attends the First Baptist Church, Swansea, SC. He is married to Barbara Livingston Crawford and currently resides in Dixie Anna, Lexington County, SC. Together they enjoy 5 children, 9 grandchildren, and 5 GREAT-grandchildren. Bob was born in Greenville on January 7, 1934 to the late Ralph James and Selma Lee Hill. He graduated from Parker High School in 1952 and enlisted in the United States Navy. During his Naval service, he received training from the Hospital Corps School, Clinical Laboratory and Blood Bank School, Naval Medical School of Bethesda, Maryland and specialized in Field and Aviation Medicine. While serving in the Navy, Bob worked part-time at Merkley-Austin Mortuary of San Diego and later served an apprenticeship at Westminister Memorial Park and Mortuary in Westminister, California. Following an Honorable Discharge from the Navy in 1962, he worked in the laboratory at Greenville Memorial Hospital before receiving a calling to return to funeral service. 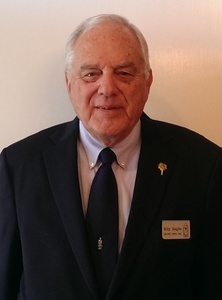 Bob graduated from the Kentucky School of Mortuary Science in 1965, returned to Greenville and began his career as a Funeral Director and Embalmer at the Mackey Mortuary. He then received opportunities to serve in Management at Bobo Funeral Chapel of Spartanburg and next at Bullard Funeral Home of Myrtle Beach. The late Earl L. "Tootsie" Thompson, Owner of Thompson Funeral Home hired Bob in 1970 where he remained until his semi-retirement in 1996. 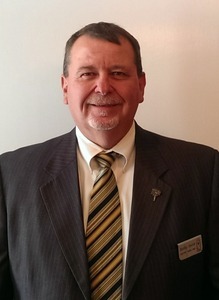 Bob has continued his career in Funeral Service joining at Barr-Price Funeral Homes in 2001. Bob is married to the former Judy Roper and they are long-time members of St. David's Lutheran Church. He is a member of Lutheran Men, both the South Carolina and National Funeral Directors Associations, the Lexington Masonic Lodge 152 AFM, and the Veterans of Foreign Wars Post #641. Bob is a former Jaycee and was selected Jaycee of the Month and as Outstanding Chairman of the Year. He organized the First Governor's Prayer Breakfast, the First Community Sunrise Service in Greenville, former Chairman of Religion in American Life, and has attended the Presidential Prayer Breakfast in Washington, D.C. Ever the student, Bob has continued his education taking courses in Psychology and Marine Biology at the University of South Carolina and Greenville Technical College. Frank W. "Bud" Yonce, Jr.